American made tools, built to last. Today I was running errands in support of our second Corvair finishing school this weekend. Steve Glover, Local host of Corvair College #37 ( Corvair College #37, more photos.) , flew in yesterday. We spent the day moving parts and equipment between the Airport and the SPA/Panther factory, where the finishing school will be held. During one of the trips, we stopped by the hangar of my side kick Vern Stevenson. Vern was down at his hangar complex, welding up a heavy I beam to act as a cantilever roof support in his ultralight hangar. The welder he was doing this with was a classic, made in America, Lincoln 225 “Buzz Box” AC stick welder. Above, Vern and his Lincoln welder. The top of the 20 foot I beam is in the foreground of the picture. In previous stories like: Why “Made in America” matters to me. and Made in America – data plates – obituaries to US manufacturing jobs, I speak strongly as an advocate of American tools and products, produced by American workers. Here is the perfect example of my point, the same one I argued in this story: Machines vs Appliances Part #2. READ THIS SLOWLY: Vern is 64 years old. The same welder he used to weld many feet of high strength beads, has also welded countless other project for him. It is one of his most used tools. 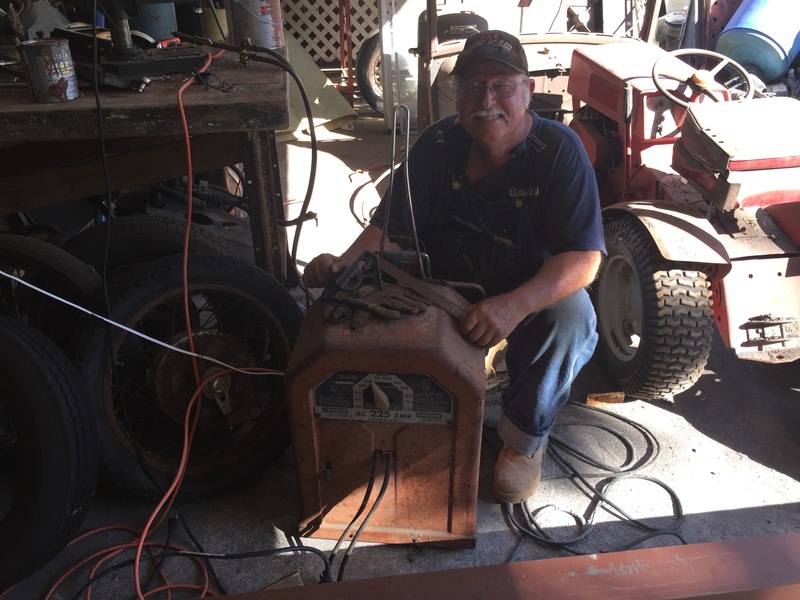 He bought this welder brand new, when he was 15 years old , 49 years ago. He has used it to weld miles of beads, and it has never failed to work, nor has it ever had a single day in the shop. It just works period, because it was built by Americans, when we expected both our tools and society to simply work, reliably. One Response to American made tools, built to last. William, I agree with you on American made tools and products. These days that is getting to be such a tough order to fill if not impossible. I wanted an American made torque wrench a couple of years ago and searched so many stores including Sears for a Craftsmen, unfortunately they were made in China. I did finally find one at Home Depot which surprised me, but I bought on the spot without hesitation. That is one of the primary reasons for my selection of the Corvair for my power plant as well. My Grandfather had a barn full of equipment and tools that were American made much like the photos you share of which I own now, and I like the thought of having a quality tool with a rich American history in my hand while continuing to create my project of today and the future. Thanks William, I always enjoy your eye opening stuff.